While speaking at the 19th children’s festival in northern Cyprus on Friday, Turkish Cypriot leader Mustafa Akinci said that President Anastasiades should prepare himself and the Greek Cypriot community for a federal settlement or a side by side state solution to the Cyprus Problem. Negotiations between the two sides during the Cyprus Talks have come to an impasse over the past several months as frustration on both sides is mounting. 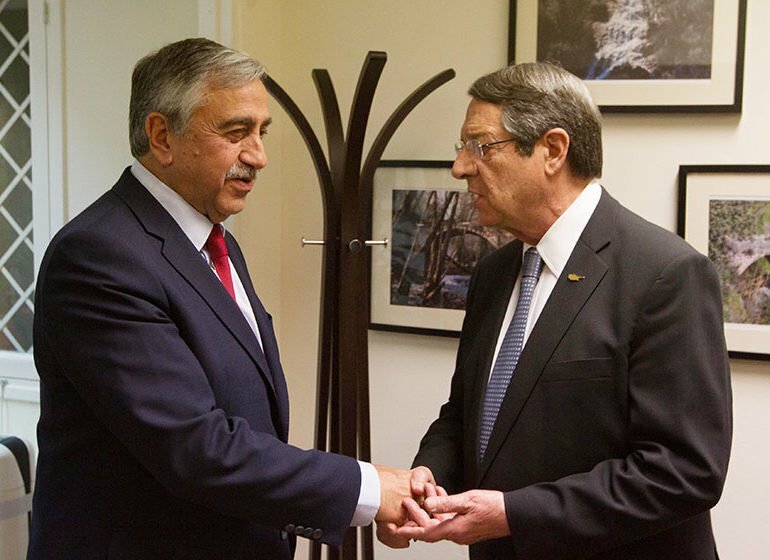 During a meeting between the two leaders on Thursday night, Anastasiades had conveyed concern regarding the Turkish Navtex, saying that it did not promote feelings of good will or a positive atmosphere for the talks, while Akinci said that Navtex was in response to the Greek Cypriot side’s “stubbornness and persistence” in regards to moving forward with unilateral hydrocarbon exploration activities off the coast of Cyprus. “I do not want to sound pessimistic but as everyone can see things will become extremely difficult as of July. It would be extremely useful if the UN, through a form of shuttle diplomacy, could come up with effective advice in drawing up a general picture of the situation, at least on the four main chapters. If we fail to draw a comprehensive picture we are going to end up, as we did tonight, spending hours discussing the same issue without reaching any results,” Akinci added.